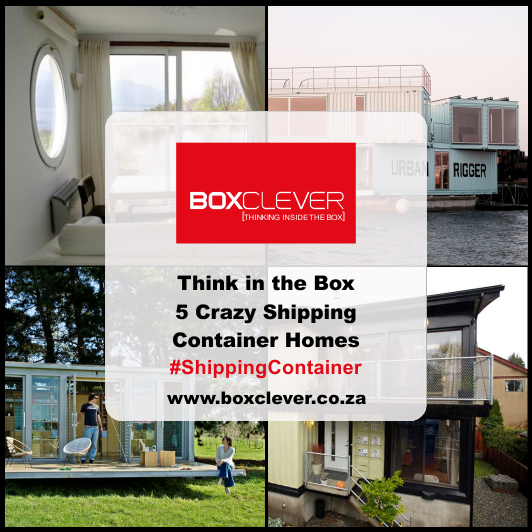 This exciting container conversion was the idea of American internet entrepreneur, venture capitalist, and CEO of Zappos Tony Hsieh, whose aim it was to ’re-birth’ downtown Las Vegas. For years, the old downtown area was perceived to be undesirable, with tourists warned to rather stick to the popular Las Vegas strip. However, when Tony Hsieh moved Zappos’ head office to this particular urban core, this perception changed. The result – the Downtown Project, a $350 million community revitalisation project to attract businesses back downtown. 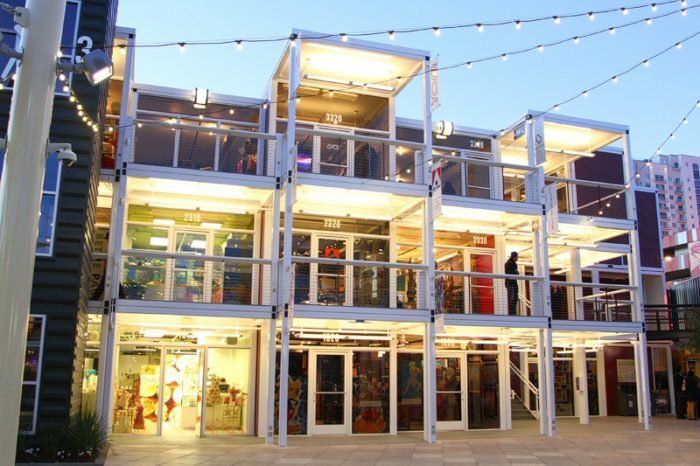 Part of the project, a sustainable shopping mall constructed from upcycled shipping containers. The 1765 square metre shopping mall opened its doors in November 2013 and continues to attract locals, tourists and curious suburb dwellers. 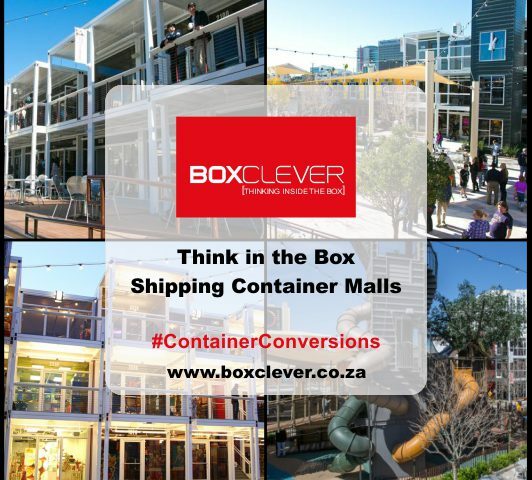 Featuring 34 outlets – bars, art galleries, boutiques and eateries, shoppers are treated to an entirely different shopping experience. 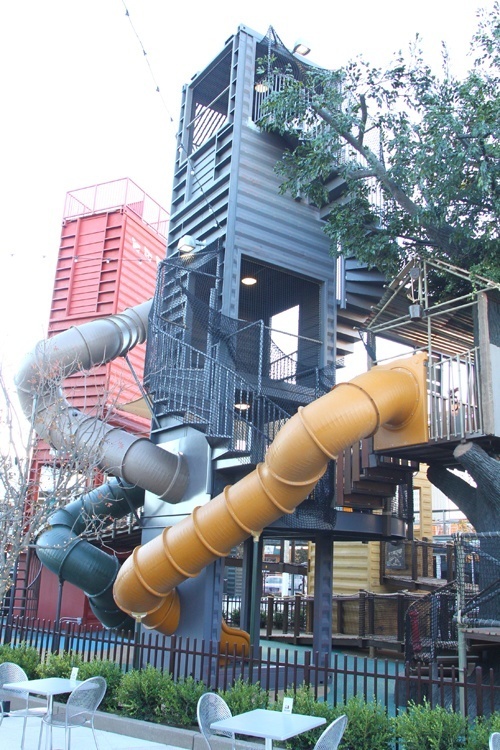 At the main entrance, a giant metal fire-shooting praying mantis sculpture welcomes visitors; then there’s the ‘tree tower’ made from three-storey high stacked containers, with slides, in the children’s playground, where parents can leave their children to play while they shop, stress-free. 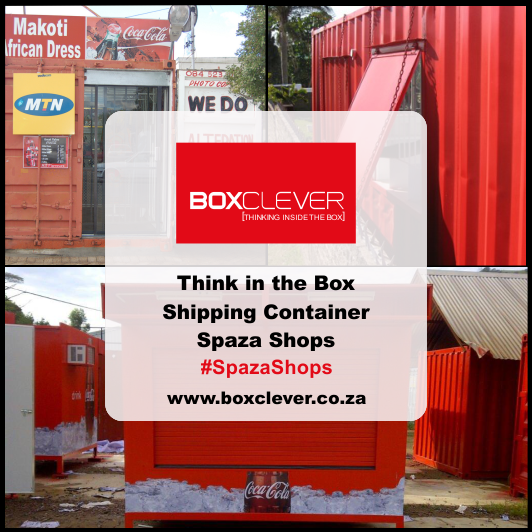 Re-purposed shipping containers were also used to act as a three-storey elevator shaft, as well as the centre’s signage above the main entrance. Painted in orange and grey, this sign forms an overhead bridge where shoppers can view the bustling shopping centre. For grown-ups who don’t enjoy retail therapy, there are interactive games, a 360-degree video projection theatre, and a massive outdoor stage with live entertainment. 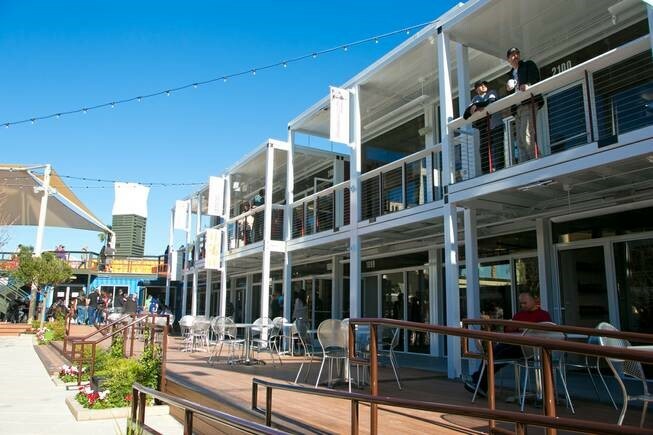 30 Shipping containers and 41 modular cubes were used to construct the container park and each container was treated and sealed for water tightness. 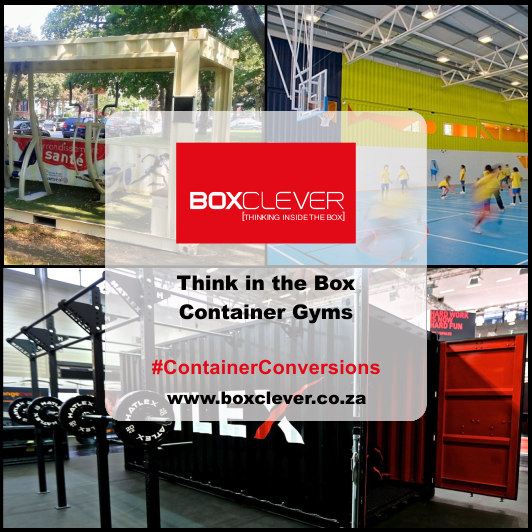 The size of the outlets vary – some are 2.4 meters wide and 6 meters in length whilst others are more modular and roughly 23 square meters in size. 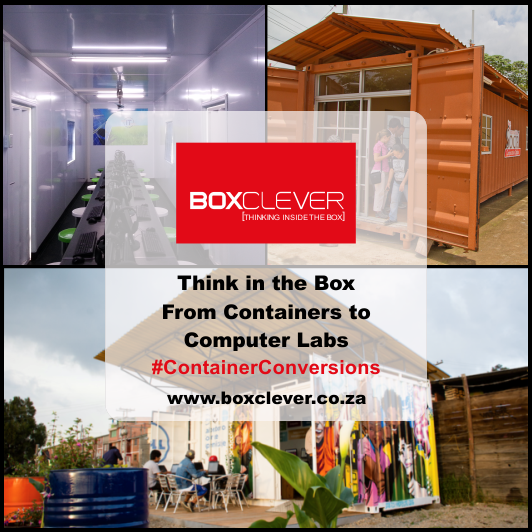 Using re-purposed shipping containers as the main building blocks gave developers an affordable, sustainable and flexible solution. And, if needs be, the container park can be dismantled, with the materials going on to form the building blocks of other projects.